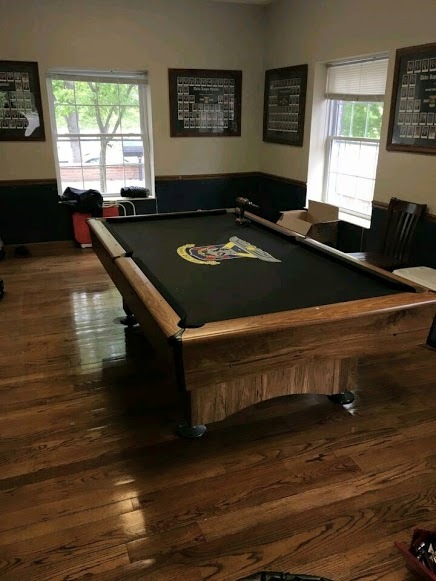 O ur chapter house was built in 1989, and was the result of an extraordinary fundraising effort over the previous twenty years. That effort involved purchasing the land the house currently sits on, and then eventually building the house on that land some years later. 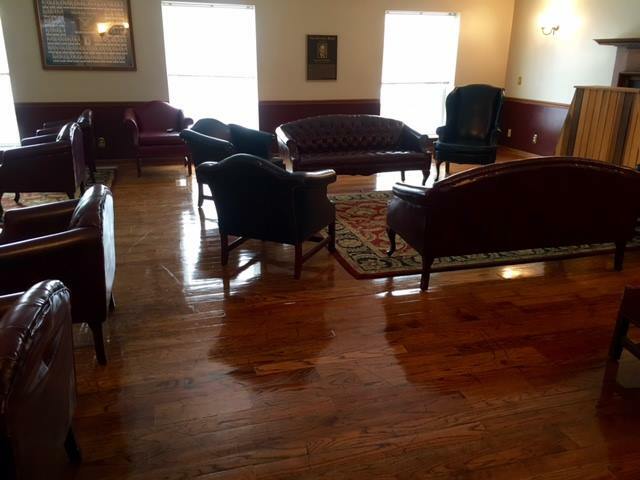 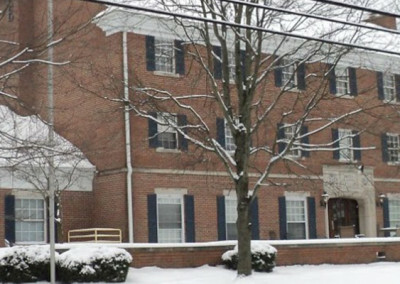 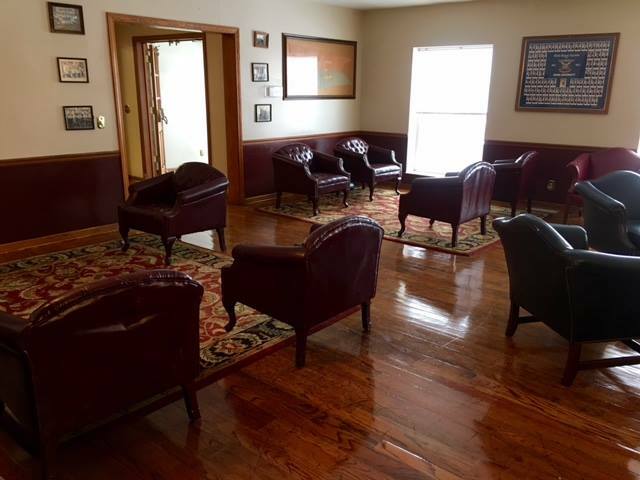 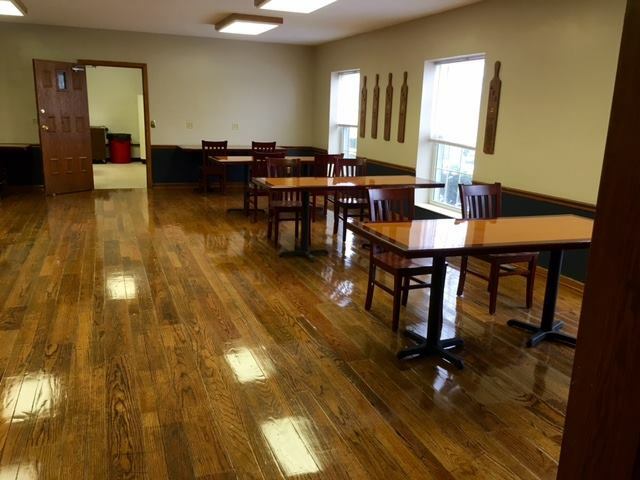 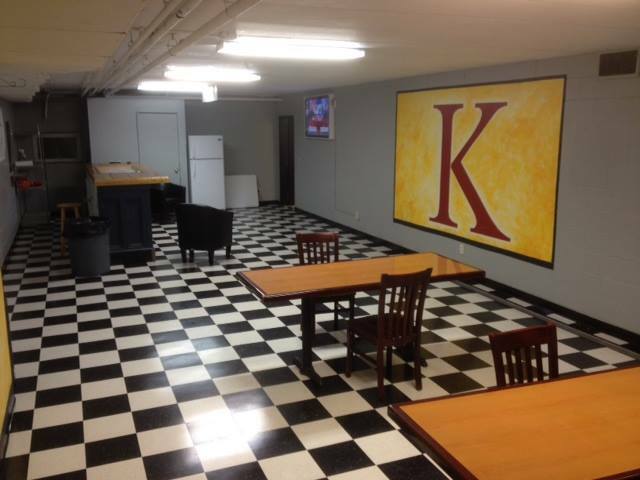 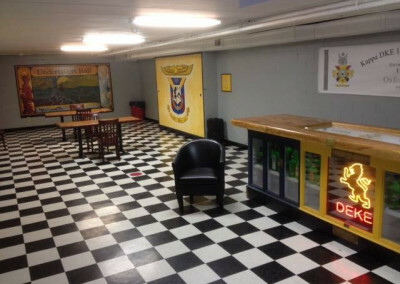 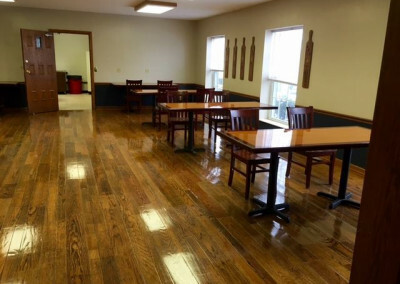 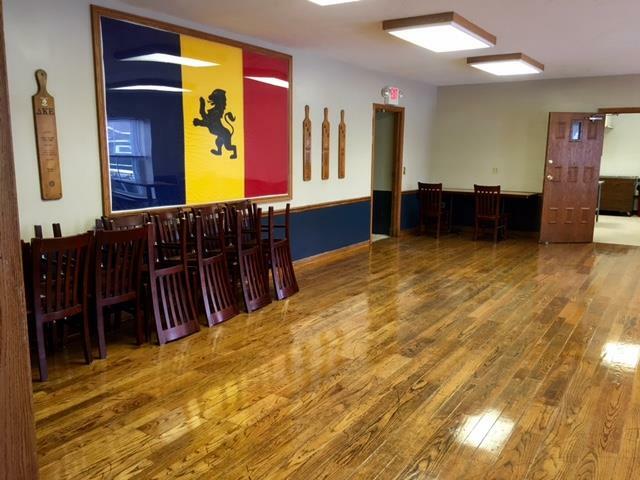 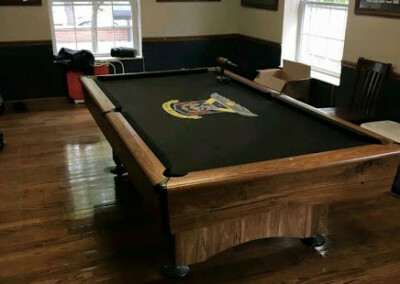 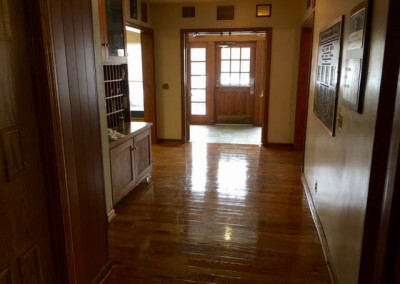 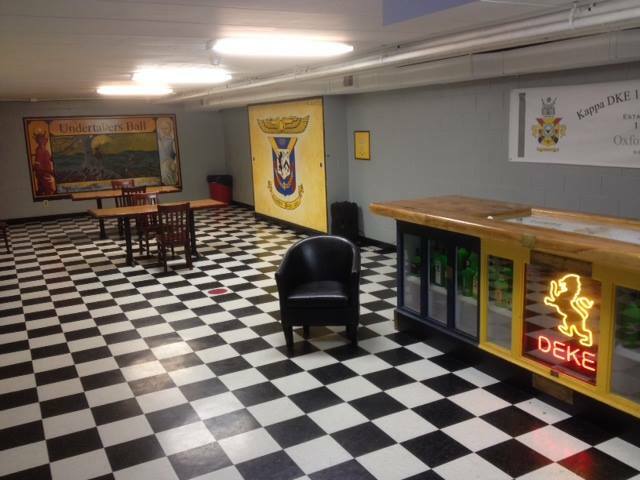 The Kappa Chapter has had several homes over its 165 years of history in Oxford, and actually was the first fraternity at Miami to have a “lodge” to meet in, in the third floor of Elliot Hall, “Old North East”, in 1861. 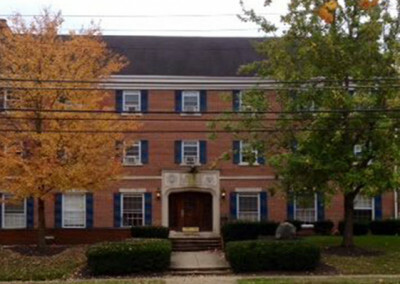 The Chapter then constructed the first lodge at Miami University, on West High Street in 1868. 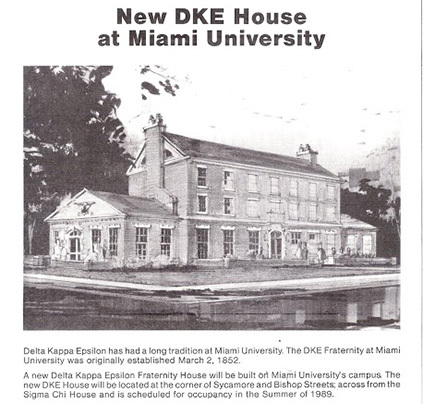 Unfortunately, “Old Miami” closed in 1873, and having lived there for only five years, the Dekes were unable to make payments on their “Hall of DKE”. 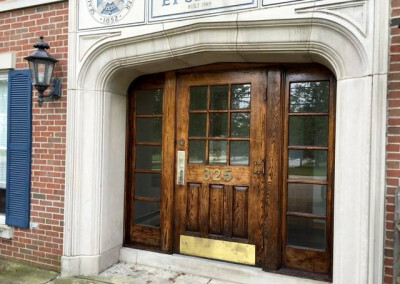 For some years, the fraternity colors were painted on the building, but the stones with the letters of the fraternity were removed and kept for safekeeping. When Kappa returned to Miami in 1889, Beta Theta Pi had taken up residence in its old hall, so the chapter occupied the “Old Mansion” house, where the Alpha Delta had been living. 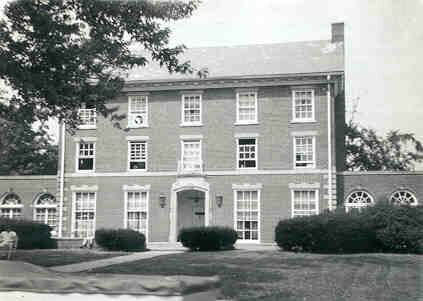 In 1894, the chapter moved to a house south of High Street, and lived there for eight years. 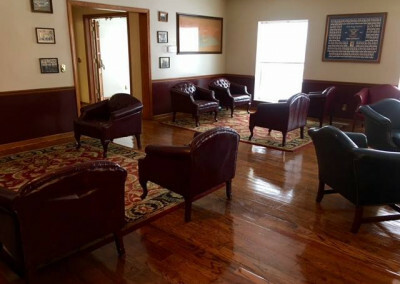 It was after this time that newly arrived Miami President Benton could not find a residence for his family, and the Dekes volunteered their home for them. 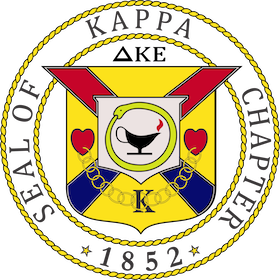 The chapter then moved back to “Old North East” for the next twelve years. 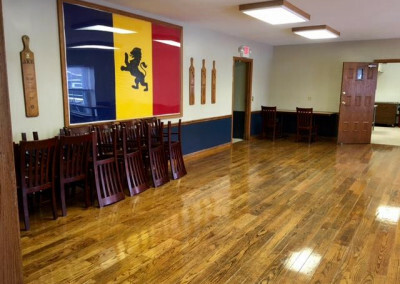 In 1914, the Kappa Chapter’s alumni built what was to become the home of the chapter for the next 52 years, on fraternity row on High Street, and the is still the longest continuous home of the chapter. 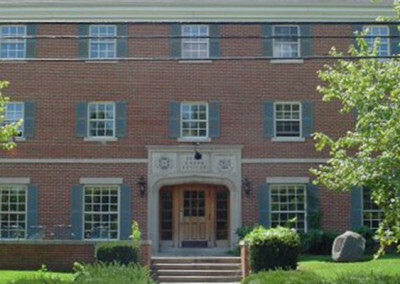 In 1966, that property was taken by Miami University to construct the former Goggin Ice Arena, which was subsequently torn down in 2007 and replaced by an expanded Benton Hall, named for the same President Benton. 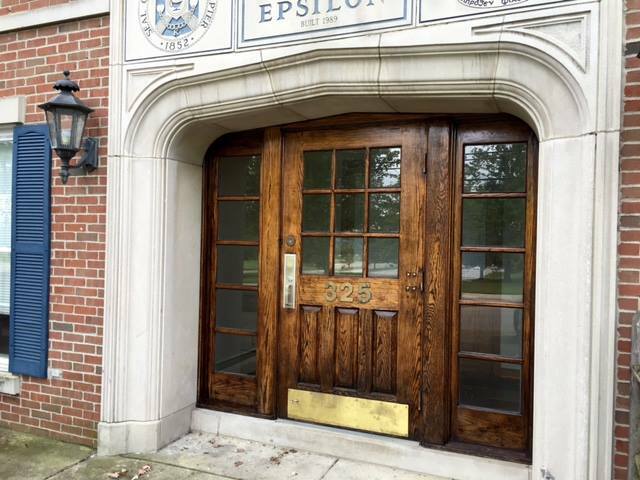 The Kappa Chapter then reoccupied the Upham Mansion on 314 E Church Street, where it resided through the seventies to the early 80s, until the new chapter house was built in 1989. 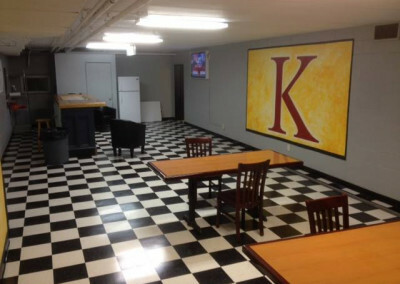 The new house was designed by Kappa alumni Sam Ingwersen, and the house was designed to closely resemble and improve upon the High Street house’s design.